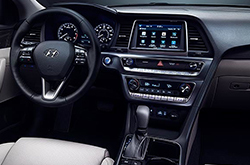 After undergoing a substantial design change in 2018, the Hyundai Sonata receives just minor updates for the 2019 model year. This year drivers can look forward to more standard safety technology in the form of rear cross-traffic alert and blind spot monitoring. More available amenities are offered on the gasoline-powered Sonata, while drivers opting for the hybrid model can get 16-inch and 17-inch wheels. 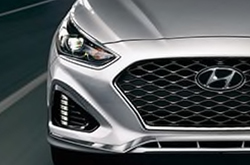 Fog lights are another new option for the 2019 hybrid. On higher level trims, a refreshed grille design and modern cabin technology including a charger for wireless devices and automatic climate control make the Sonata feel like a high-end luxury car. n 2019 there are six trim levels for the Sonata. The base model is the SE. Even with this trim, you'll get more than enough standard and available features. Standard on this model are a color seven-inch infotainment display screen with Android Auto and Apple CarPlay compatibility. A backup camera to facilitate maneuvering in and out of tight spots is another standard feature. Space is maximized in the passenger area to give occupants more legroom than ever before. The Eco trim features the same amenities plus a dual clutch transmission. The third-highest trim, called the SEL, adds a keyless entry and push button start. The driver's seat, which has lumbar support, moves in 10 ways. Next up is the Sport +. On this trim, you'll get a power-operated sliding sunroof, a sportier grille design, and a rear diffuser. The seats have a sportier appearance, and both the steering wheel and shift knob are wrapped in leather. The Limited has an even more luxurious interior with heated and ventilated leather seats and LED headlights that turn in the direction you're driving. The top Limited 2.0T + adds on smart cruise control with start-stop technology. There's also a panoramic sunroof and a larger eight-inch infotainment system with navigation and a premier audio system. Whichever trim you get, a choice of eight exterior paint colors and three interior colors gives you the option to customize your Sonata's look. The Hyundai Sonata is powered by one of several engines. The base model comes standard with a 2.4L four-cylinder engine that produces up to 185 HP at 6,000 RPM and 178 LB-FT of torque at 4,000 RPM. The Eco has a 1.6L turbocharged engine that produces up to 178 HP at 5,500 RPM and 195 LB-FT of torque at 4,500 RPM. With the SEL, Sport +, and Limited trims you'll get a four-cylinder 2.4L engine that produces a maximum of 185 HP. The Limited 2.0T + is powered by a turbocharged 2.0L four-cylinder engine that generates up to 245 HP at 6,000 RPM and 260 LB-FT of torque at 4,000 RPM. 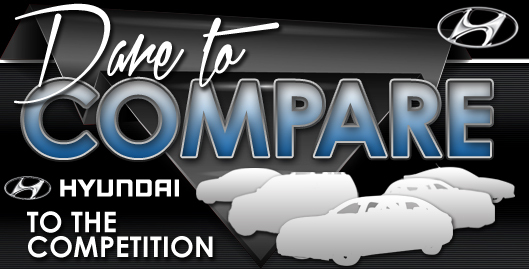 All models except the Eco and the Limited 2.0T + come standard with a six-speed automatic transmission. The Eco gets a seven-speed automatic transmission and the Limited 2.0T + gets an eight-speed automatic transmission. The Sonata has been commended in the past for its safety, and the 2019 sedan follows suit. Blind spot monitoring with lane change alert and lane keep assistance are standard safety features, along with a rearview camera, vehicle stability management, and electronic stability control. Automatic high beam assist and pedestrian detection monitoring and avoidance are standard in the top trim and optional in the others. Along with the technology-oriented safety features, the Sonata comes standard with front and side airbags in the front seats, side-curtain airbags, and a driver's knee airbag. In case you crash, crumple zones in the front and back deflect energy away from the cabin area.